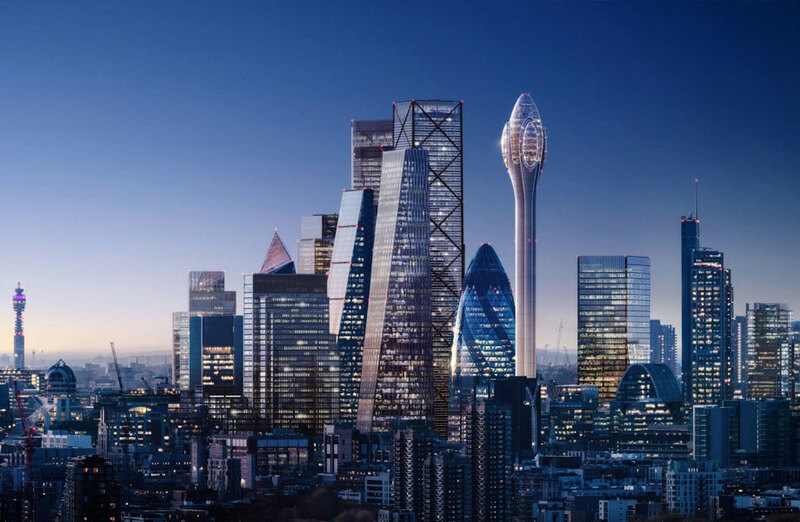 Planners have approved the development of London's latest visitor attraction, the controversial skyscraper dubbed “the Tulip” designed by Foster + Partners. The planning application, which was lodged on 13 November, has now been given the go-ahead, paving the way for the construction of the second tallest building in Western Europe after the Shard. The tower which has been likened to a cocktail cornichon and derided as an architectural Freudian slip, was backed by the City of London Corporation by 18 votes to seven. The decision to approve the tower follows the publication of a 152-page report from the City of London that concluded The Tulip had the potential to become an "architectural icon" for London. The building is being developed by the Safra Group, a company controlled by the Brazilian billionaire banker Joseph Safra, which bought the neighbouring Gherkin for £726 million (AUD$1.3 billion) in 2014. 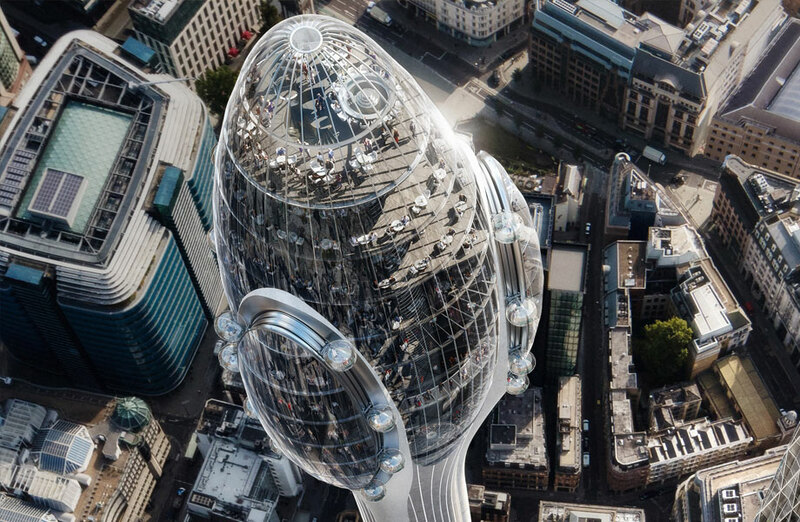 The Tulip, a 305.3-metre tall tower topped with a viewpoint and rotating gondolas, was designed by Foster + Partners, the architect behind the Gherkin tower as well as a £1.3 billion (AUD$2.4 billion) European headquarters for Bloomberg close by, to create a new public, cultural, and tourist destination. Officials estimated the "public cultural attraction" will bring in 1.2 million visitors every year. It is set to include a restaurant and sky bar, as well as a floor for education facilities during school hours, accessible to local community groups and charities. 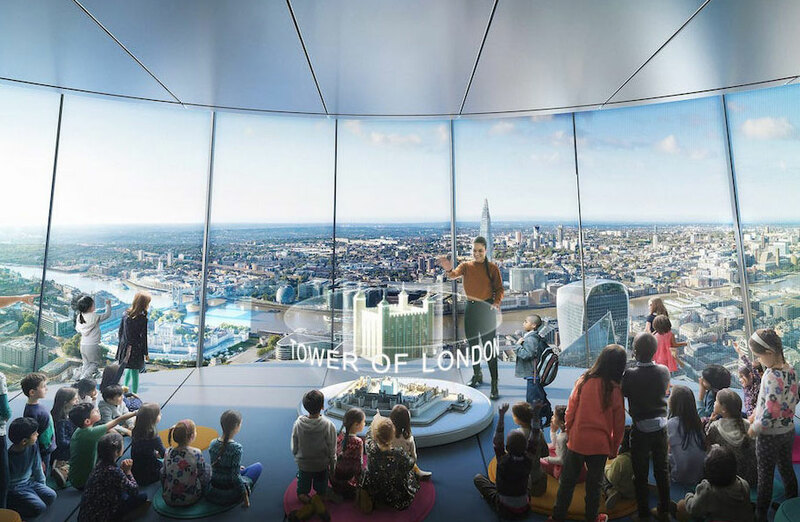 The tower will also feature a rotating gondola ride in three-metre wide glass spheres that will take visitors on an eight-minute journey in an elliptical loop around the tower’s tip. The building will be wrapped in high-performance glass which will be optimised to work with the building internal systems to reduce energy consumption. Heating and cooling will be provided by zero combustion technology while integrated photovoltaic cells will generate energy on site. Developers previously said they hoped to commence construction next year, with an opening date planned for 2025. The City of London will now submit its resolution to grant planning approval to the mayor of London's office with the final decision resting with the mayor. Critics of the tower have argued that the design breaches London's planning guidelines and warned that it could interrupt London City airport radar systems. London City said National Air Traffic Control will be consulted over the potential impact on radar systems, to understand if the gondala system will have any bearing on the static element of the building. Groups including English Heritage and Historic Royal Palaces have also argued that the structure would seriously affect views of the nearby Tower of London.